Barcelona is the capital of Catalan culture and a can’t miss destination for any serious foodie. Maybe you have cultivated refined, ritzy tastes, or perhaps street food and late-night fried fare are more your speed. In either case, there’s one typical treat you absolutely have to try: tapas. Start prepping your palate now: tasting tapas in Barcelona will appeal to a wide range of travelers and taste buds. If you’d like a little guidance, consider taking a tapas tour. “Tapas” translates as “covers,” which is fitting because—if you’ll excuse the bad wordplay here—the word certainly covers a lot of ground. 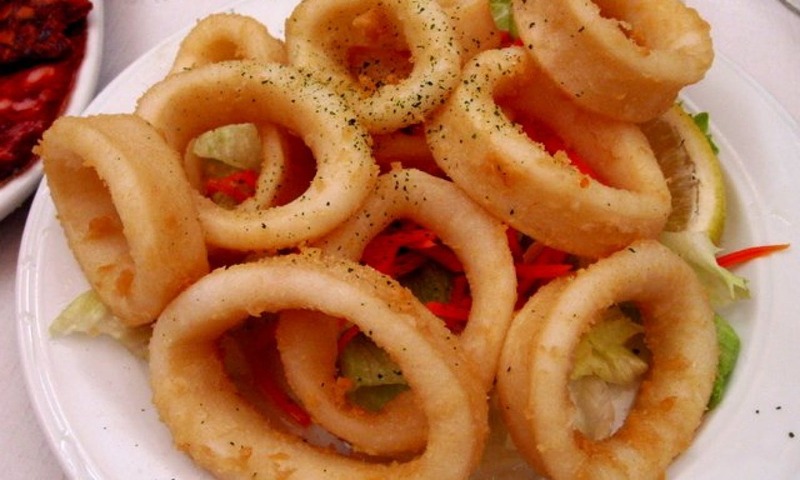 Generally, the word refers to a wide variety of appetizers that originated in the southern province of Andalucia. The foods can be served hot or cold, and are accompanied by a tall drink of your choice—typically wine or a type of cocktail. Some tapas plates may be more generous (or delicious) than others, but that’s all part of the adventure when you’re exploring Spain’s wide range of tapas locales, from mildly dodgy dive bars to chic, upscale establishments. You may have a plate that suffices as a mini-dinner, or you may have a bowl of black olives to whet your appetite for a full-fledged Catalan dinner later in the evening. Like the Italian tradition of aperitivo, which involves paying for a single drink and then having access to an (often substantial) spread of finger foods, tapas are typically a pre-dinner ritual, and are not necessarily designed to stand as a meal on their own. However, like aperitivo and similar traditions in other cultures, tapas have by now become a relatively inexpensive and social way to enjoy a bit of first-class food, so many people—particularly the young, hip and mildly broke—tend to make a meal of them. Even though most sources trace the beginning of tapas to Andalucia, several different legends of Spanish folklore point back to King Alfonso X. One claims that the king fell terribly ill, and allegedly could only enjoy tiny portions of food with small glasses of wine. The story says that once he recovered from his illness, he declared that all drinking establishments should serve food with their alcohol. Another story states that he was traveling through southern Spain and stopped to rest in a small inn on a stormy night, and the inn’s barkeep brought him a cocktail covered by a slice of meat so that the drink wouldn’t blow over or get dirty on such a windy evening. Barcelona is one of Spain’s most international cities and arguably the capital of nightlife—and that’s saying a lot in a country where even small-town residents regularly revel until the wee hours of the morning. With its multicultural atmosphere, you’re guaranteed to see quite an impressive, international spread of tapas wherever you go, and your evening could turn saucy or sweet! 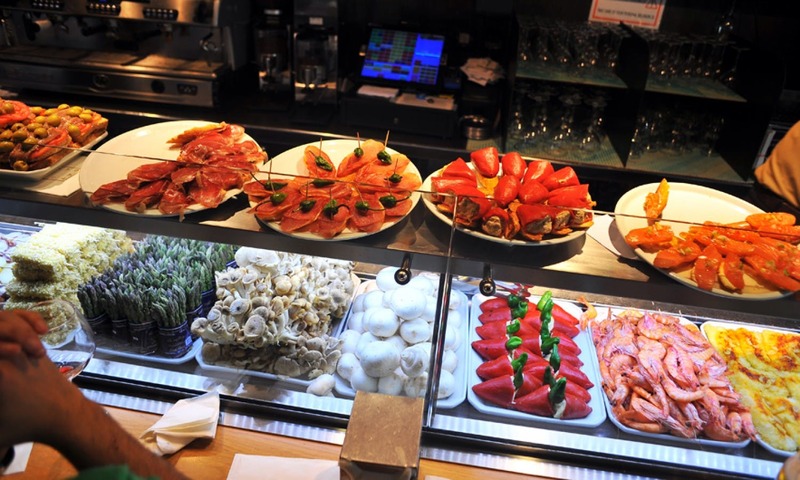 Book a Barcelona tapas tour with Musement to make sure you take full advantage of the tradition! With the tour, you’ll wander down one of Barcelona’s most vibrant streets, La Rambla, chock-full of tapas bars and local restaurants. 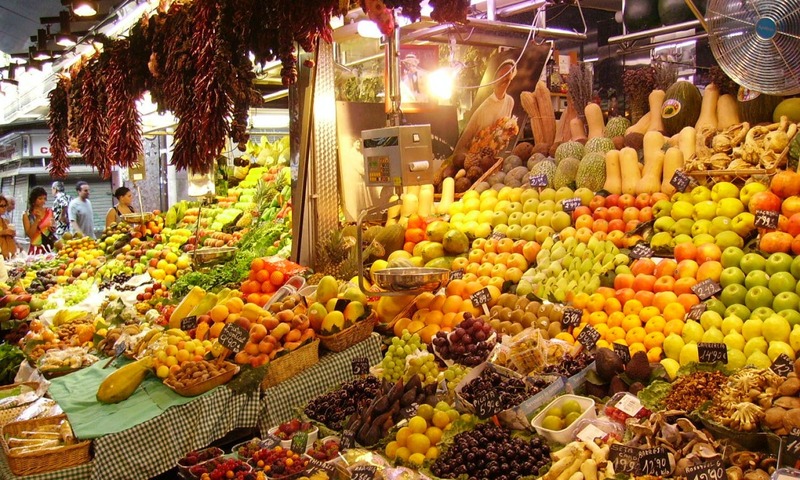 You’ll also make a stop at a famous local market, La Boqueria, where you can shop to your heart’s content for cheeses, fruits and vegetables, and even seafood. Finally, you’ll wind your way to the Gothic Quarter, one of Barcelona’s most buzzing areas and a testament to the rich gastronomic, architectural, artistic and linguistic traditions of all of Spain.